Keep it steamy with a man friend from Manville, RI. Nothing makes a person swoon more than a leopard loincloth. 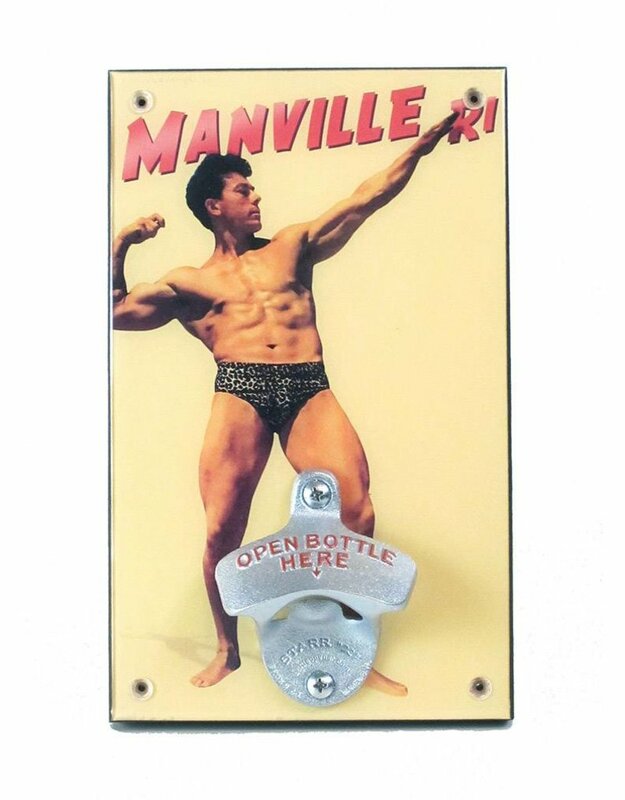 No need to work the bi's and tri's with the help of this locally produced, wall mounted bottle opener.